Please see the Lifestyle section on the right for our regular activities or click button above for latest news and events at Boughton Hall. 80 luxury apartments built over two phases in 2009 and 2013. 1 and 2 bedrooms within a 7 building village setting by joint developers Enterprise Retirement Living and Barnardo Developments. Lifts in all buildings, restaurant, bar, gym, lounge, library, hairdressing salon, treatment room, landscaped gardens. Whole site accessible by wheelchair. Access to site easy. Distances:- 1.5 miles to Chester city centre, bus stop at edge of development, shops and post office 300 yards, GP and pharmacy across the road. 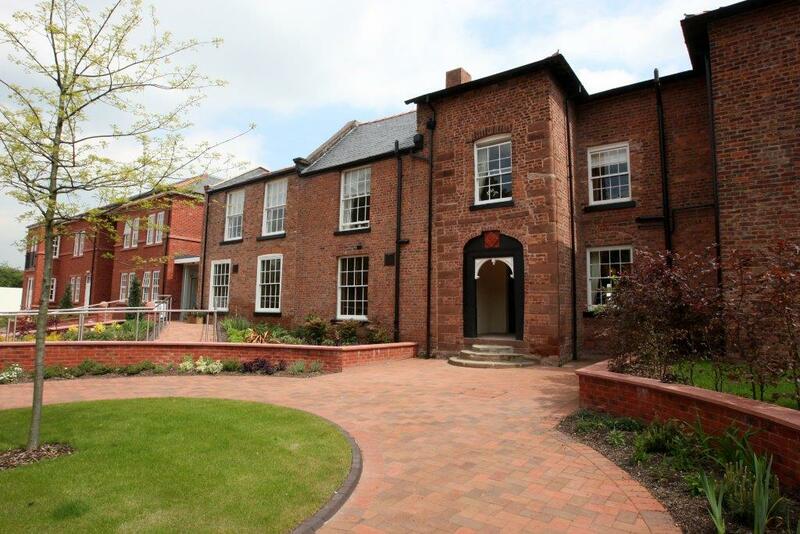 Boughton Hall is a luxury development in a private village setting but within easy access to all amenities and the beautiful city of Chester. Excellent social opportunities for those who wish it whilst remaining independent by nature. Fine dining, speakers, Summer BBQ's and other seasonal events make Boughton Hall the perfect oasis in which to enjoy your retirement. I was on the bus into town and saw the banner across the wall saying ‘luxury’ and I thought ‘that’s the right word for me’. The concept was different from anything I have seen and I wanted to know what else was on offer. I visited 11 different complexes and did my own ‘Which-style’ report complete with photos. I worked for years as a teacher, a head teacher and then an inspector so living here, at a former children’s home, where children have been happy, is good for me. Everything here is beautiful, the materials, the design. It’s just lovely. Total life change living here – in fact it’s a whole lifestyle change. I’ve moved but this whole new life has opened up to me.